Upward INDOOR Soccer provides a positive sports experience for every child and makes the most of your family’s time and money. Life lessons shared at each practice. Players 3 years old through 6 years old as of April 1, 2018 are eligible to participate in the league. If you register online or prior to March 25th the price is $105 per player; After March 25th the price per player is $120. If you register online, please put any special requests (friend requests, etc.) in the Notes section of the online registration. OUR NUMBER 1 Goal is for teams to have EQUAL skill level. We will try our best to honor any friend requests after all players have been evaluated. Age/Gender Divisions are as follows: 3 and 4 year old Co-Ed and 5 and 6 year old BOYS and 5 and 6 year old GIRLS. Indoor soccer shoes or shoes with a good tread are required. Shin Guards are also required for all games and practices. No cleats. Practices and Games will be held on Sundays beginning on April 8th. 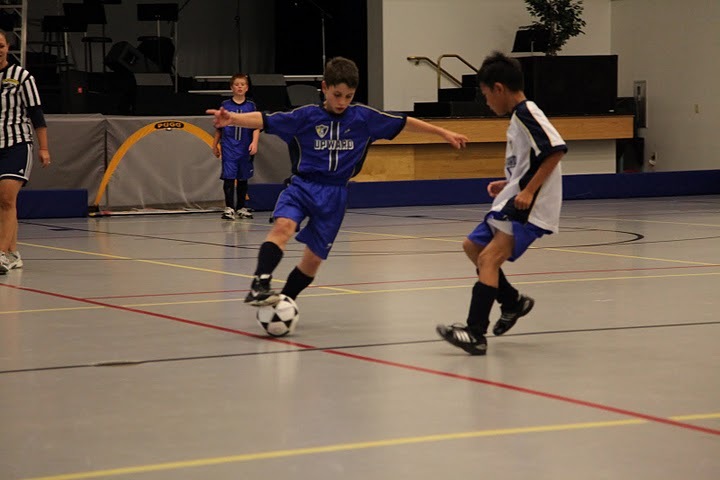 The Upward Soccer Season is 8 weeks of practice and games, with the last practice/game held on May 27th. Practices are 20 minutes with games lasting 40 minutes. Practices and Games are conducted back to back on Sundays. (For example: If your practice begins at 3:00 p.m. your game will start at 3:20 p.m.) There is no weekday practices. Your players practice/game time will rotate between the start times of 3:00 p.m. 4:00pm 5:00pm or 6:00 p.m. each Sunday. Awards will be distributed after your players last game on May 27th. MONDAY, APRIL 2nd between 5:00 p.m. and 7:00 p.m. Contact Melissa Walls at 561-395-1244 ext 143 for additional information.